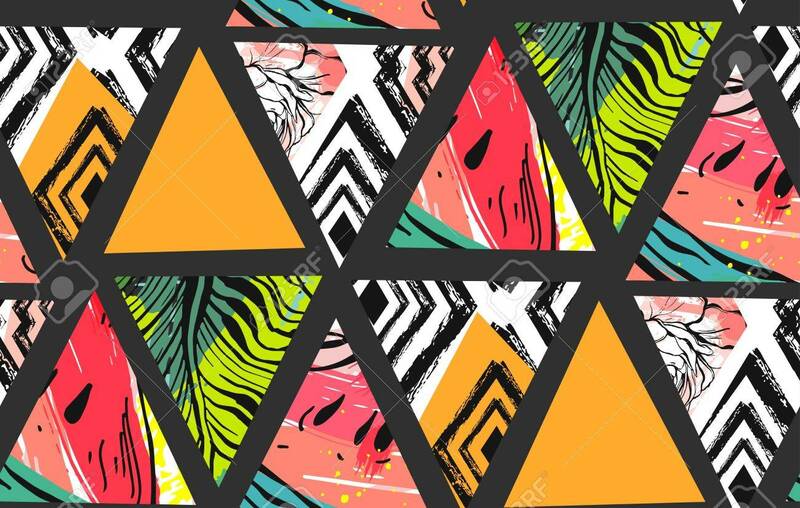 Hand Drawn Vector Abstract Unusual Summer Time Decoration Collage Seamless Pattern With Watermelon,aztec And Tropical Palm Leaves Motif Isolated. Royalty Free Clip Artok, Vektorokt és Stock Illusztrációk. Image 84955647. Stock fotó - Hand drawn vector abstract unusual summer time decoration collage seamless pattern with watermelon,aztec and tropical palm leaves motif isolated.